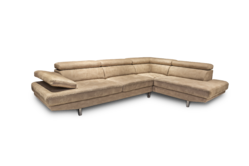 Keeping in mind ever-evolving requirements of our respected clients, we are offering a premium quality array of Modern Couch. This product is made of high quality teak wood material with best finishing.High quality PU foam seat is used for making of sofaseat. Being a leader in the industry, we are engaged in offering a qualitative range of Stylish Wooden Sofa to our clients. 5 years warranty of sofa seating and framing work. we also make as per customer requirement and design. delivery extra and gst 18% extra. Having a definite quality management system, we are immersed in bringing forth a top class consignment of Teak Wood Sofa. - Made from rubber wood. 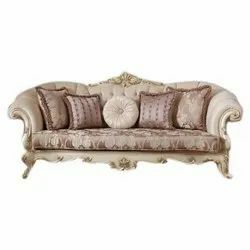 - Fabric Upholstered Sofa with Hard Wood Frame & Wooden plank at Base for support. - High Resilient foam is used in Seat & Back Cushion. - Coil spring in seat & High resilient foam in Back for Better support.